A bright, sparkling old Mexican Rhodo with Scalenohedra that are covered by clear tiny quartz crystals that add a bright luster. 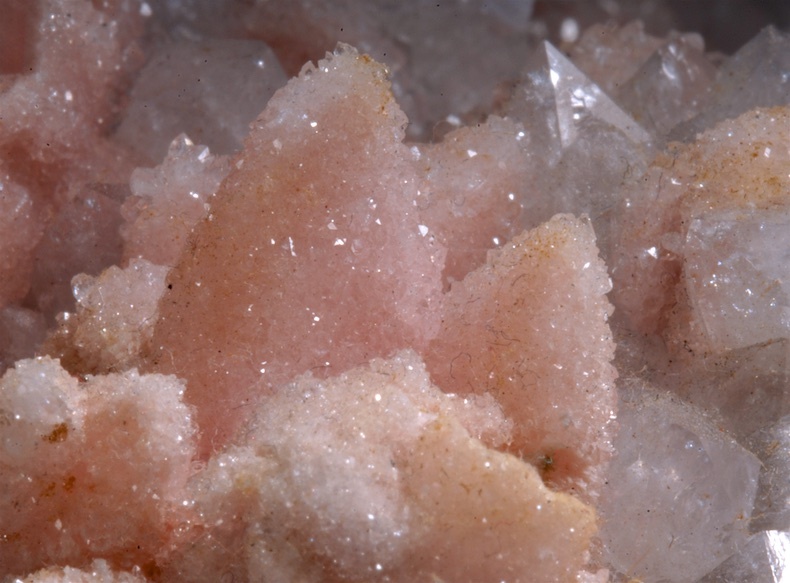 The rich pink color of the Rhodocrosite is clearly seen through the druzy Quartz. Some typical sulfides make up the rest of the matrix, the dark colors adding contrast. In very good condition, a few old breaks are noted and seem at least partly revealed, however as seen this is still a very fine display piece. 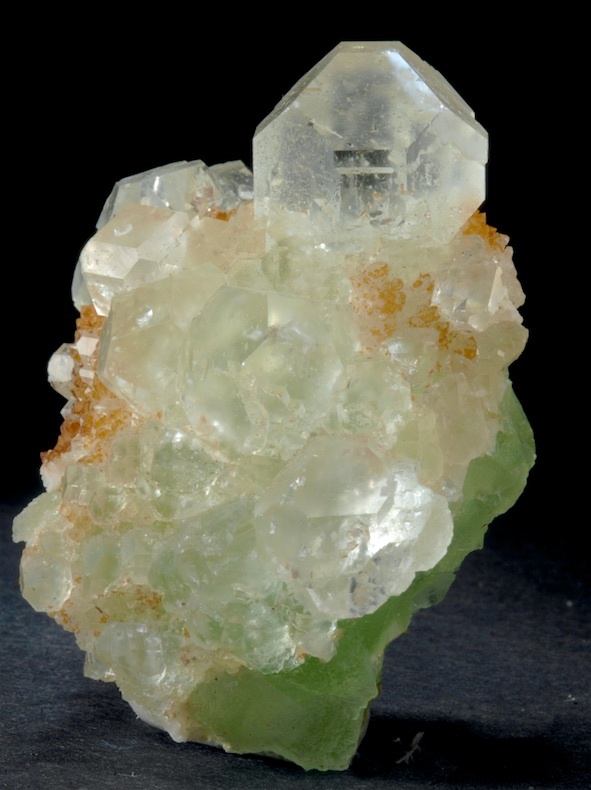 Beautiful light green transparent Fluorite crystals in modified Cube-Octahedral forms perched on a matrix of Massive Fluorite and Quartz crystals. Exceptional in person, a very choice and quite unusual habit, no longer seen for sale. The Quartz has an Iron tinge and so adds a nice color contrast. Displays well from several angles. 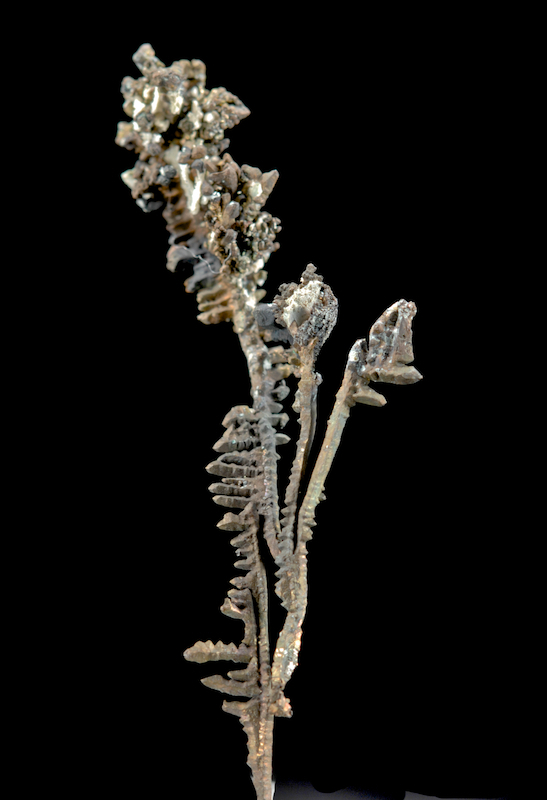 The Xianghauling mines produced just a few of this habit in 2004-5. 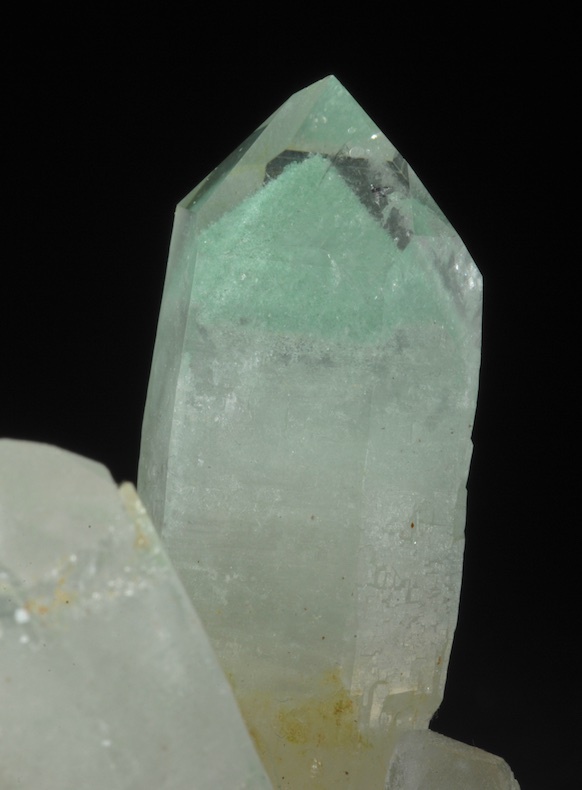 We obtained several at the mine and sold them all long ago, including this one that has come back in a collection purchase. The mine is non producing for many years now. 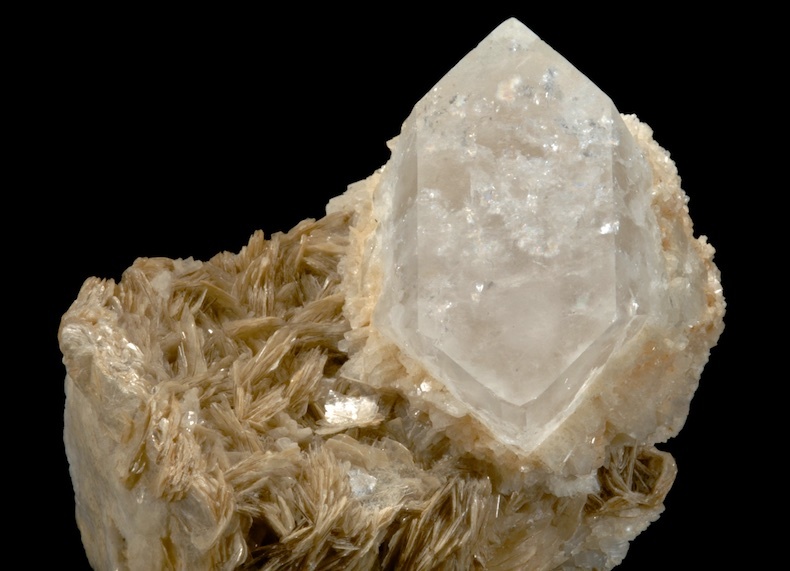 Sharp and perfect Topaz (4.4 CM across) with an unusual but very esthetic morphology. Glassy luster and esthetically exposed, this is a very choice piece that is far better in person. 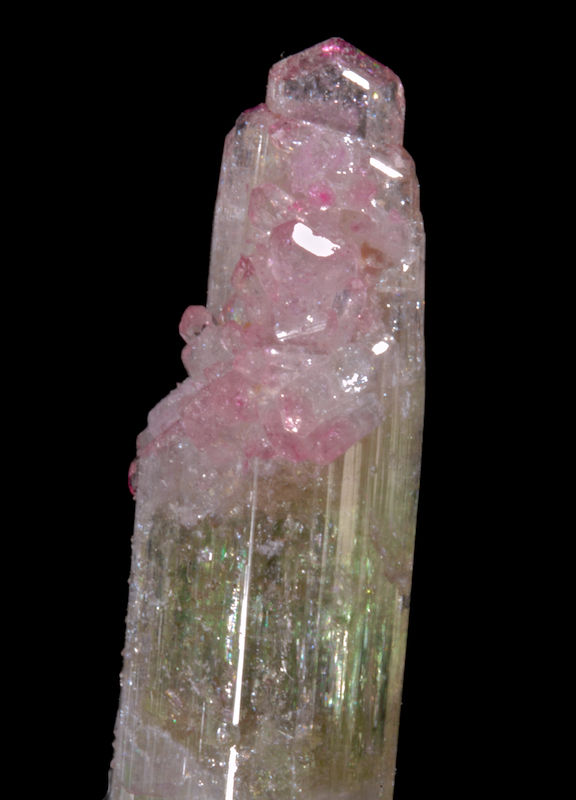 The Topaz presents with an elongated termination facing outwards and the form and presentation is not a typical one. Damage free and for a non-colorful specimen this is really different and eye-catching in a display. An unbelievable killer "bonsai tree"! This small thumb from the great Jeffrey mine is unique. Perfect display and undamaged all around. 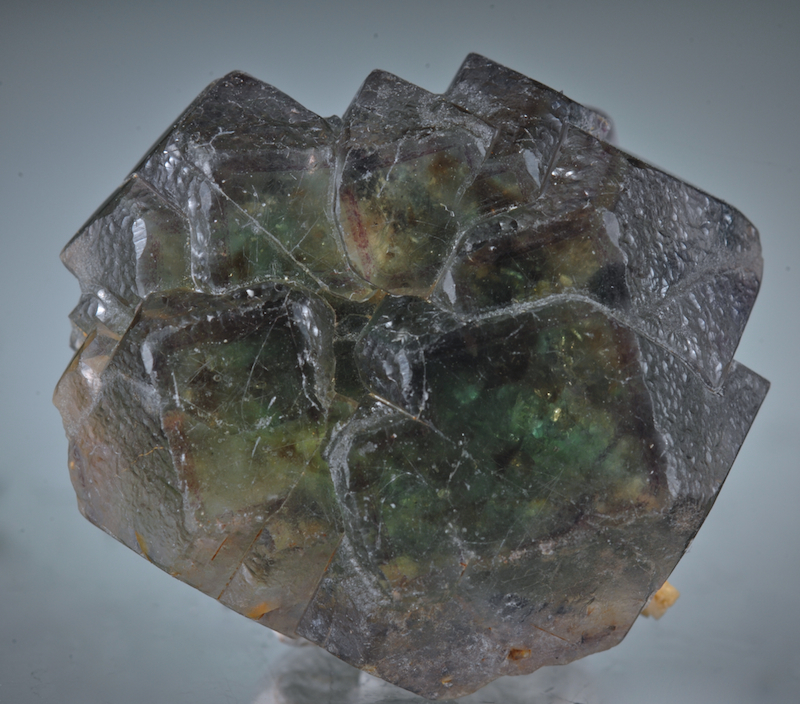 The Garnets are the deep emerald green color that are called "Chrome Grossular" and are gem clear. 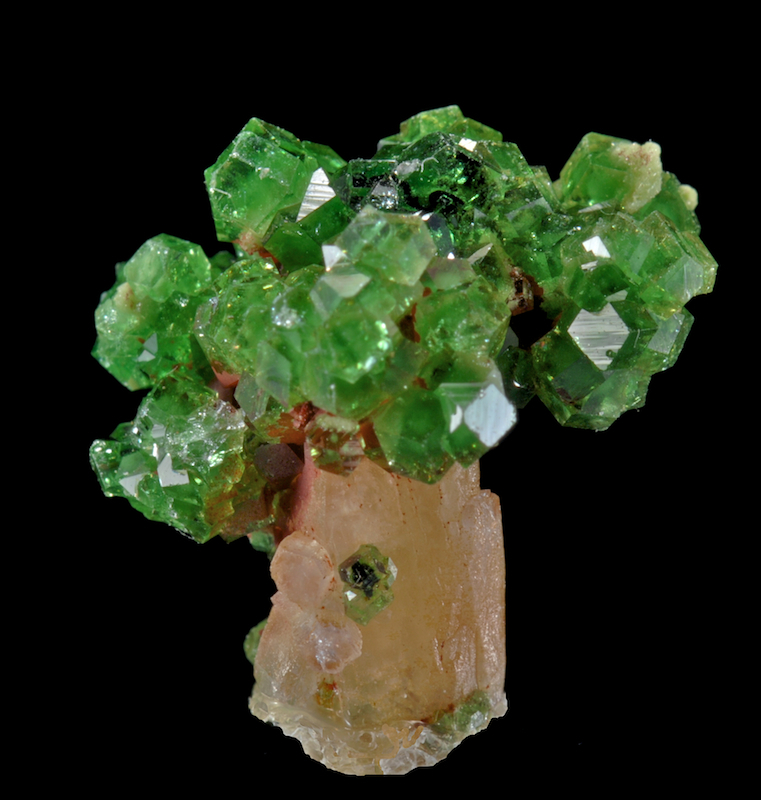 The Trunk of the tree is a single complete Prehnite crystal of the elongated prismatic habit. We have handled quite a few bright green Grossular but have never even seen such an esthetic combination. Simply extraordinary for the locality and for the specie. Top notch competition level, really a once in a lifetime thumbnail.